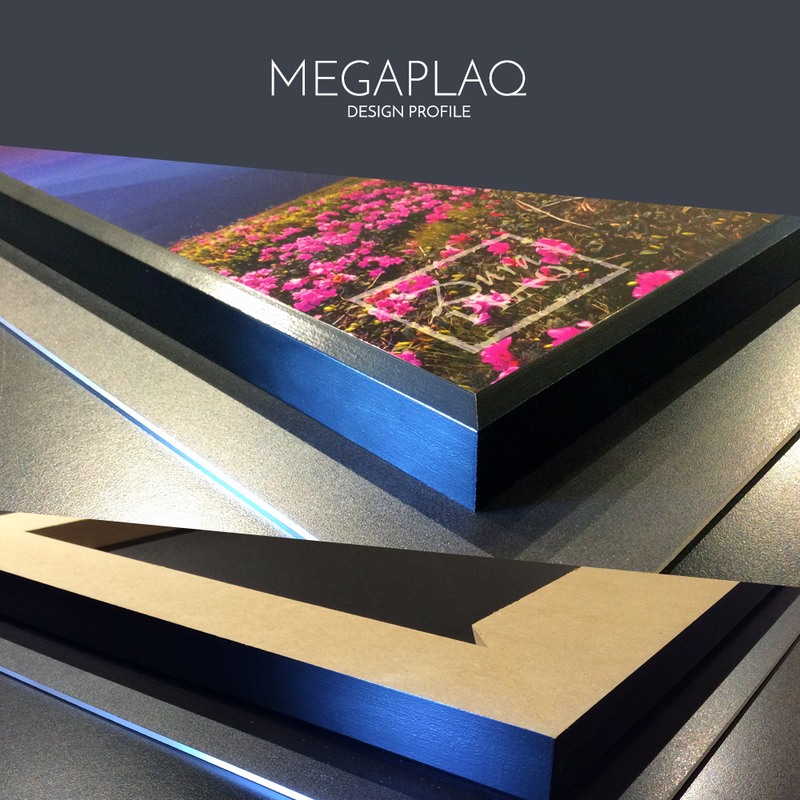 MegaPlaqs bring an element of substance and dimension to mounted art as they are more than an inch thick. A MegaPlaq is essentially a thickened DuraPlaq® wherein the depth of the plaque can be seen from any angle when displayed. Art is mounted on a thick, acid-free surface and finished with a beveled edge. The backside is hollowed out to reduce weight and conceal a convenient cleat hanging system allowing the MegaPlaq to hang securely, flush against a wall. Various edge colors and surface finishes provide the opportunity to enhance and personalize a plaque mounted picture meanwhile providing UV protection and moisture resistance. Recycled, eco-friendly wood, coated with acid-free moisture resistant barrier. The french cleat hanging system is made out of eco-friendly non-coated wood. Hanging Instructions: Included with your MegaPlaq is French cleat hanging system. Take the beveled short block of wood and press it against the wall with the bevel going downward towards the wall. Set a level under the cleat hanger. With the cleat level, screw the first Walldog Screw through the cleat into the wall. With the cleat still level screw the rest of the Walldog Screws through the cleat into the wall. Make sure the Walldog Screws drive tightly into the wall. Giving no separation from the wall and the cleat. Now you can place the MegaPlaq on top of the cleat hanger on the wall setting it in place. The MegaPlaq can be moved left and right to the desired location. If the MegaPlaq seems off level simple put a small piece of tissue paper on the beveled area of the cleat hanger. This will raise the MegaPlaq up leveling it out. 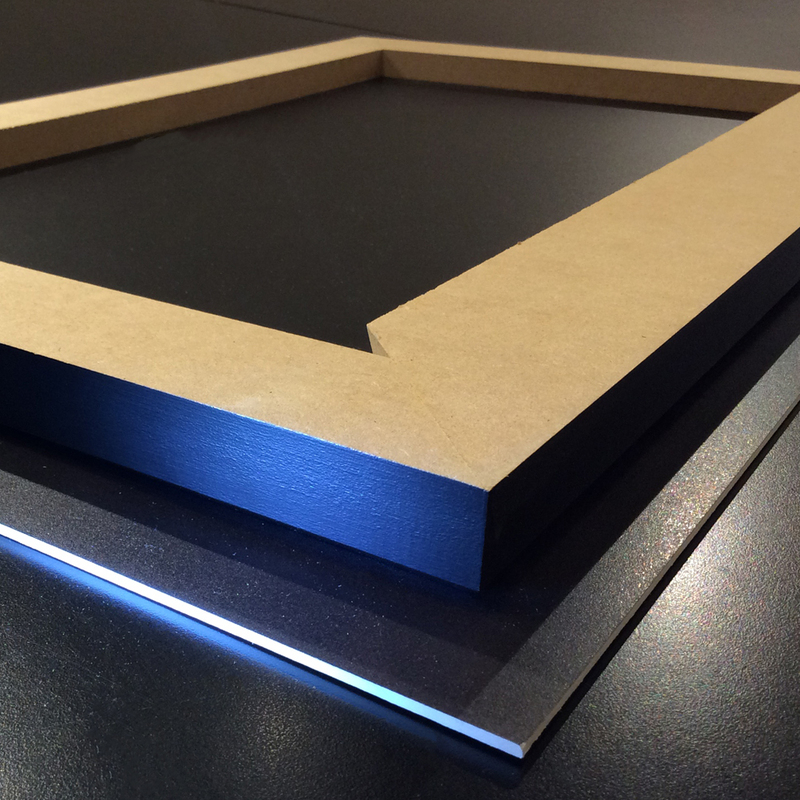 Edge Options: Beveled with any color. Normal bevel is 3/16 of an inch, we do have the capability to do slighter bevels if requested.